There is a great deal of information out there about the importance– or lack thereof– of proper pH levels in the body. However, it seems that all of this vast amount of information has yielded very little actually understanding; certainly, very little wisdom! Too much information and too little understanding is a recipe for confusion! And yet this topic is so critically important, that a correct understanding of this issue may make the difference between life and death for some individuals. It did for me. In 2001, when I acquired an unusual cancer growth. I had been working 16 hour days, lived in a great deal of stress, and had not been taking care of my body by any sense of the word. I knew this, but life’s circumstances were, at the time, more powerful than my intention. I was riding a wave, and had little choice but to ride as best as I possibly could, and trust that the wave would carry me to a more pleasant, peaceful shore. I didn’t have medical insurance, nor would I have used it had I had it, and this fact probably saved my life. For what looked like simple skin cancer was a tunneling tumor connecting to my colon. Many surgeons aren’t even aware that such a thing can exist, and I’m sure I would have found one of those surgeons! What a surgeon would have thought of as a simple surgery would most likely have spread the cancer to my other organs. Instead of panicking, I started studying. However, this isn’t a story about my triumph over cancer. It’s a story about being careful to whom and what you listen to, and it’s a story about what you can learn by listening deeply with every ounce of your being. Cancer is a huge topic, and can’t be covered in a few short paragraphs. I needed to listen to what caused the malignancy, and I needed to reverse it. After doing a ton of reading which was more overwhelming than enlightening, I hooked up with an alternative cancer researcher, who explained to me the pH connection involved in nearly all chronic illness, especially cancer. I used the methods he taught me to restore equilibrium to my biochemistry and restore my bio-terrain. Having accomplished this, I went after and destroyed all the cancer cells. What exactly is pH, and why is it important? pH, quite simply, is the measurement of hydrogen ions: the negative logarithm of the Hydrogen ion concentration. It is a measurement of the alkalinity (basic) or acidity of an environment, be it blood, soil, water, cells, or tissue. The pH is a logarithmic scale measured from 1 to 14, with the mid-point, 7, being completely neutral. Each point, plus or minus, represents a change by a factor of 10. So a pH of 6.0 is 10 times more acidic than neutral (7.0). Some individuals have been led to believe that alkaline is good, and acid is bad. This is only correct when placed in the correct context. For example, the body produces acidic waste, much of which is eliminated through the urine. This isn’t “bad”, it’s how the body works. Another example: You wouldn’t want an alkaline stomach; the pH of stomach fluids should be below 4.5, and often closer to 2.0. Without stomach acid, you wouldn’t be able to digest food properly. The human body is well capable of precisely managing proper acid/base levels in the body. That is, until things start to go wrong. And even when things start to go wrong, your organs and your blood remain strictly regulated, or else you would likely be comatose in a hospital bed with an IV drip in your arm! The value in understanding how pH relates to human health has little to do with organ or blood pH levels. What it DOES have to do with is the pH of fluids in the body; specifically, the pH of extra-cellular fluid and soft tissues. When the body becomes unbalanced, usually with excess acidic waste buildup and production, the body pays a great price biochemically, as it works to try to eliminate the acidic waste and restore balance. The body can quickly run short of alkaline mineral reserves. When this happens, calcium (as only one example) starts leaching from bones. With excessive acidic waste building up in the body, the primary organs of elimination become overwhelmed, and the body’s reserve of alkaline minerals is quickly depleted. The liver is overworked, digestion has most likely already been compromised, and the body simply cannot handle getting rid of the acidic waste byproducts. What the body does at this point is it starts to flush acids any way it can, and store more and more toxic waste in tissues such as fat. It uses the breath and the skin well beyond “design parameters”. Fluids and tissues in the body that operate best with a pH very near neutral, 7.0, start to become acidic. This acidic state can not only cause tissue damage, but presents a bio-terrain that becomes very susceptible to cancer, to pathogenic infections, and to physical degeneration. Pathogenic organisms start producing even more acidic waste, leaving it up to an already over-taxed body to try and clean up. Pain, inflammatory conditions and free radical damage runs rampant. But it gets even worse. As the body deteriorates, the acidic conditions in the tissues prevent vital nutrients from being adsorbed at a cellular level. This not only prevents healing and promotes further tissue degradation, it short circuits the whole body’s metabolism, including the body’s bioelectric system (lowered voltage levels actually occur throughout the body). At this point, it becomes nearly irrelevant what one eats, the vital nutrients won’t be getting to where they need to go. Antioxidant levels in the body drop, and the immune system starts to go haywire. The body begins to malfunction at the electromagnetic level (there is no proper hydration nor proper electrolyte balance), and at an oxygen-based level (more alkaline tissues hold more oxygen). Acidic fluids are able to carry far less oxygen. The endocrine system starts to go haywire, hormone levels start to drop, the adrenal system begins to overwork and fail, and then before you can say “whoa, where am I and where did I go?” a whole host of chronic illnesses and mystery illnesses start to develop. Then, it gets even worse than that. Since your body has now lost the ability to cleanse itself, fat cells in the body become toxic, loaded with chemicals, heavy metals build up in tissues, and finally, the mitochondria stop functioning properly. Before you can say “Wait a minute, what’s going on?” you find yourself on a long list of medications, stooped over a walker, with a long list of professionally diagnosed misdiagnoses, riddled with cancer, with massive skin and cardiac problems unable to digest anything but basic, bland foods which even still cause endless gas and elimination problems. The above is a typical 40 year chronic illness cycle that happens far too often, to a greater or lesser degree. It all starts and ends with the symphony of biochemistry. Soft tissue pH is like the violin of the symphony, a quiet, refined and elegant sound sometimes remaining in the background, nearly unheard. It makes the music oh so perfectly balanced, adding rich emotion and depth. Until it starts screeching and chases everyone as far away as they can get from the mind-bending sound! How does one measure and understand soft tissue pH? There is a direct correlation between the pH of the saliva and the state of the body’s soft tissues. It is not a perfect measurement tool, but aside from expensive lab work that most doctors won’t write an order for anyway, it’s a very valuable and revealing method. When saliva remains acidic, it means that the body’s alkaline mineral reserves are depleted. The body does not have enough of these minerals to use in-saliva. The lack of these minerals is reflected by an acid reading. The lower the reading, the worse the condition. Once the body reaches the state where saliva is acidic, one can almost guarantee that this deficiency also effects the soft tissues of the body, and the body’s extra-cellular environment. Furthermore, the more acidic the soft tissues become, the more acidic saliva becomes. By using high quality pH testing strips (and one must use the type of litmus pH strips recommended below; the cheaper ones may work for swimming pools, but NOT for human saliva), and charting one’s pH, one can get a very good idea of the state of balance. I maintain my saliva pH at 7.0. There are many things that can influence soft tissue pH. For example, over-working out. Many athletes overwork the body, and cause quite a bit of damage at a cellular level due to acidic waste build up, which quickly depresses the immune system… A truth that all professional athletes have faced. Over-working out can deplete antioxidants and create free radical damage from excessive acidity, and actually cause premature aging. When I work out, I measure my pH before and after. When I’ve over-exerted, my saliva pH will show it. I quickly use a whole host of tools at my disposal, and shift it back, usually within fifteen to twenty minutes. My main method of manipulation is using modified waters. For more information, see my earlier post on The Universal Solvent: The ways of drinking water., as well as the article on how to properly alkalize the body. How does Diet Influence Soft Tissue pH? For some strange reason, many people think that one must eat like a rabbit in order to maintain proper alkalinity. Nothing could be further from the truth. In fact, in my experience, Vegans and Vegetarians have the toughest time in maintaining proper biochemistry. What’s worse, is that many simply assume because they eat alkaline, that their biochemistry MUST be good. This assumption is made with near-religious faith, and in many cases, it’s not justified. Now, I’m not anti-vegan or anti-vegetarian; I have a lot of respect for idealistic eating ideologies. However, many vegans and vegetarians don’t have a strong enough nutritional background to make certain that their diets contain enough key ingredients for proper biochemistry function. In my experience, the biggest offender is fatty acids. Many vegetarians and vegans don’t get enough of the right fatty acid content in-diet. Some individuals that I’ve worked with were actually devoid of fatty acids. One individual had been eating vegetarian for some five years; he ate a completely vegetarian diet, and his base pH was about 5.8. By adding back into diet good fatty acid content, he was able to return his body to a state of equilibrium without violating the tenants of his dietary eating philosophy, but it took about 1.5 years. He didn’t know that fatty acids are required to transport minerals throughout the body. In fact, many Vegans and Vegetarians switch to this way of eating begin with because of an awareness of the importance of alkalinity in the body. The sad point is that through their educational sources, they were led to believe that eating alkaline foods was the primary factor in balancing the body. Many of these individuals have experienced near digestive failure, and that is one of the biggest factors. When damage has been done to the digestive system, often times, eating different foods is just a band-aid, and does nothing to repair the damage done. Remember, that the body is more than capable of regulating itself when all systems are functioning properly. Digestion is one of the most important functions to fix, and fix first! If the food is not being digested properly, or if the nutrients cannot reach the cells, then it doesn’t matter what one eats, failure to heal will occur and chronic degenerative illness will present. The body is subject to the law of entropy. Just like a body in motion tends to stay in motion, a body chronically malfunctioning tends to stay in malfunction. Breaking the pattern, interrupting the cycle, is critically important. There are many ways to help the body reach a proper acid/basic balance. Some are easier than others. I’m not going to list all of the ways, for an astute researcher will no doubt have no problem finding the just right doors one needs to open for oneself. In a previous post, I talked about the importance of drinking water, and provided a few formulas for creating healing drinking waters. I mentioned using lemon water as a critical part of using an alkalizing water safely. 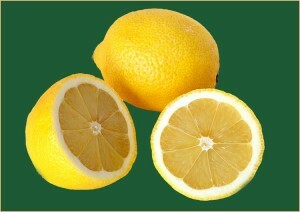 Lemon is one of the seven irreplaceable healing foods of the wise naturopath Raymond Dextriet. Not only is lemon a good nutrient in its own right, but it is a powerful alkalizing force in the body. It is a digestive aid. It is a liver cleanser. It is a blood purifier. Fresh lemon is a wonderful addition to any electrolyte program. The citric acid in lemon has benefits of its own, but often the pH of lemon confuses people. This weak acid makes lemon juice test acidic, with a pH of about 2.0 pH. However, lemon is also loaded with properly balanced alkaline minerals, which are responsible for the quite easily chart-able alkalizing effect of lemon juice in the human body. Furthermore, lemon is extremely low on the glycemic index; it will have a stabilizing effect on blood sugar levels, and will not feed candida and/or fungal overgrowths in the body (these microorganisms produce acidic waste further compromising the body’s ability to cleanse waste products). I once ran across a medical doctor who specialized in alcoholism. He used massive amounts of fresh lemon water with his patients to reverse sclerosis of the liver. Some of his patients consumed as many as six or seven full lemons daily (in water). Instead of dying, their livers healed. Since cleaning up the liver, and restoring the function of the liver is critical to allowing the body to restore its natural cleansing processes, lemon is an invaluable aid, and should not be ignored! It should be noted here that lemon is not the only acidic substance that actually results in an alkalizing effect on the human body. The key to remember is that the problem that the human body faces is not acids, it is toxic acidic waste that the body accumulates rather than eliminates via the urine and feces. One of the solutions is to flush this waste from the body. For example, MSM (an organic sulfur molecule) is acidic, and yet it rapidly strips acidic waste from tissues, as do most natural sulfur compounds. Another acid, calcium carbonate (Alpha Omega Labs Hydronium – H3O+ product) also has a net alkalizing effect on the human body. Raw apple cider vinegar also has a net alkalizing effect. I also use high heat cayenne as an alkalizing agent, While not very pleasant, it is highly effective. Simply take a very small amount of cayenne in a bit of water, hold it under the tongue for one to three minutes, then swallow. High heat cayenne pepper directly feeds the heart antioxidants, increases vital energy flow through the body, and has a near immediate positive impact on soft tissue pH levels, as well as helping to normalize the body’s entire metabolism. Dr. Christopher and Dr. Shulze were both masters of cayenne. If digestion permits, adding bitters into the diet is invaluable. Fresh garlic, uncooked, is also invaluable. One of my favorite lunches is a rare grass fed thinly cut flank steak sandwich. I add two BULBS of freshly chopped garlic, 1/4 onion, which I saute for about 30 seconds in organic butter (having removed the pan from the heat as to avoid burning off the critical essential oils and the butter). I add 1/4 cup of freshly chopped cilantro, uncooked, and some bitters: Something like arugula. Yum! Plenty of good energy for the day’s work! With completely impaired digestion, chances are some individuals cannot tolerate any gluten or any dairy, but once digestion has been healed, the human body is miraculously capable of digesting a wide variety of foods used in moderation. And certainly, gluten should be used in moderation, if at all! For vegetarians, it’s important to add fatty acids in the diet: Things like raw unrefined coconut oil, sesame oil, sunflower oil, etc. Drinking plenty of the best drinking water you can purchase or make is also critical. Water needs very little digestion, especially if it is consumed at room or body temperature. For some people, finding or making the right water, in combination with lemon, may be the only practical and feasible away to start to break the acid waste build up cycle the body can get trapped in. De-stressing is also critically important. Learning how to shut the mind off through breathing deeply, relaxation, and meditation is an alkalizing endeavour. Proper exercise is also critical, especially if the body has reached a state of mitochondrial failure. Allowing the body to atrophy will prevent deep healing. Conversely, running the body into the ground is a very acidic idea. By making simple and permanent changes in one’s life, and measuring the progress with pH strips, one can gently return the body to a state of equilibrium. I always state that the body can BEGIN to heal once the pH is normalized. It is the BEGINNING of healing, in the sense that one can halt degeneration, and begin regeneration. The best ideas? Drink plenty of the most excellent water. Add lemon. Add natural healing foods back into the diet. Slowly add rich, green, bitters back into meals. Heal the digestive system. Naturally cleanse the body in every way that you can… It will respond. The pH connection is only one of many connections in the symphony of biochemistry. In the future, I’ll be delving into other issues of critical importance, but none are as relevant and critical as fluid balance, electrolytes, and maintaining a proper acid/basic balance in the human body. The last thing I would like to mention is the pH of urine. There is a great misconception that is often perpetuated by some who study pH levels of the body. Some people erroneously believe that the urine should be alkaline. A neutral or alkaline urine is a symptom of imbalance just like acidic saliva is a symptom of imbalance in the body. Think about it: The body produces acidic waste as a byproduct of normal metabolic function. If the primary means of the elimination of these acids reads alkaline, what does that tell you? Can you explain more about how saliva indicates electrolyte/pH balance in the body? As part of the process described above, once the body starts to become depleted of the main macro minerals it uses to neutralize and flush acidic waste, it needs to try to “steal” them from wherever it can. The body’s BLOOD must be PRECISELY pH balanced at all times, as do the body’s main organs. The body starts to leech calcium from bones to “balance the pH equation”. Enter: Osteoporosis. When this whole process (and others like it) start to reach a critical phase, the body steals the remaining reserves from the SALIVA. At this point, one can be certain that the soft tissues of the body are acidic. The body also tries to flush the acidic waste through the skin (perspiration), in order to try to protect the liver and kidneys. This results in lymph system issues, soft tissue acidity, and a myriad of skin problems and breakouts. One of the side effects of this process is creating an environment that is very cancer friendly. When the saliva pH (average) drops below 5, the body is in a cancer thriving state. When the saliva reaches 4.5, in every case I’ve studied so far, malignancies are present in the body. Therefore, the reduced pH in the saliva reading always indicates a severe imbalance that most likely has been developing for a long time. That said, you have to take the average reading, and not rely upon any single reading. There are many things via dietary habits that can temporarily change the saliva pH, resulting in an acidic saliva pH. Learn the importance of saliva pH, and what this measurement actually means. I happen to study ph as well. This is a great article. I always test my saliva but wouldn’t you think there would be a point on the ph scale where the acidity of the urine would be too much, I’d imagine this could be a warning sign the body is filtering out too much excess acid. What I’m saying is, what should the normal ph of the urine be and if it is too acidic, I’d imagine there is something wrong just like if it were neutral or alkaline. There are “normal” situations where overly acidic urine is ok, and where neutral urine is ok, but generally speaking, the urine pH of a healthy individual should be around 5.8 pH. If you read the linked article by Dr. Donald Feeney, he is one of the first “formal” practitioners that I’ve found that acknowledges the danger of “more alkaline” urine. However, like I said, there are exceptions to the rule on urine pH. During highly alkaline cleanes, for example, urine alkalinity may rise. That said, the most common cause of neutral/alkaline urine is the over production of ammonia in the body, which is a symptom of illness/disease/disfunction. 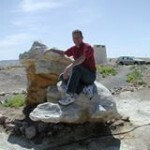 Thank you for this great blog to send my readers to as well. I am a scientist who is a writer now and believe in Dr Linus Pauling and read the JOM and write about the articles. thank you for your healthy input and writing. Thank you for the kind words, and for visiting my blog! Also, I greatly enjoyed reading your article on the benefits of real cholesterol balancing. Great job. Hi, this was a very nice article. very interesting – i arrived at it from the, ‘Rebuilding Tissues with MSM’ article. you mentioned that the body regulates the pH of the organs & blood & that the toxic acidic wastes are in the soft-tissue – don’t the organs contain soft tissue ? could you clarify & give some examples of soft tissue. thx. …I mean that toxic waste exists extra-cellularly, and much of it, for a variety of reasons such as energy production in muscles… ends up in the soft tissues. In some cases (with chronic illness), much more ends up in soft tissues than it should, because the body is trying to protect liver and kidney function in situations like retention toxicity. More waste is attempted to be purged through the skin. Whatever bio-mechanical mechanism is at work in these dysfunction patterns, where the body first fails in regulation is the extra-cellular environment. This has a cascading effect on many, if not all, biochemical activities, such as a cell’s ability to take-in minerals and expel waste efficiently. …and that’s not even mentioning what eventually builds up in the lymph system. My main point is that all of the major organs and blood are pretty well regulated as far as H is concerned, until late stage illness (right before death)… even when the body has a chronic long term issue with acidic waste buildup in the body! Do you have the pH article/pdf by Dr. Feeney in the link above? The link goes to a page that isn’t functional anymore.